I have gladly accomplished such during a session of D&D. I don't remember what it had been for, yet I do remember all of my friends there doing it at once due to me. lol SL i made an entire group facepalm, a nice conversation about what they where planning to do for an event in the sim, and in my usual style, i popped up, made a pervy comment, and between the face-palms and head-desks i wasn't able to stop laughing for a long time, its alot of fun isnt it? xD Ive done it maybe 1-2 times with large group of People ..
... Hundred. Simple enough Answer. 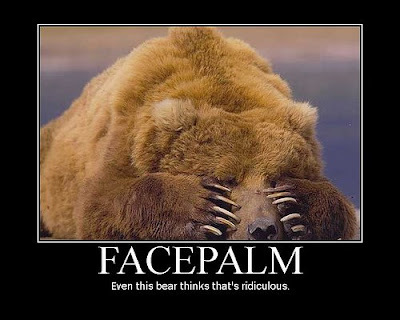 As to the reasons why you facepalmed, I do not remember. Baka. There's a reason right there!! For future reference: Due to the...way Fang may say something, it is alright if you do not understand him. Ask another member of the Shinma Team to clarify something he may have confused you on. 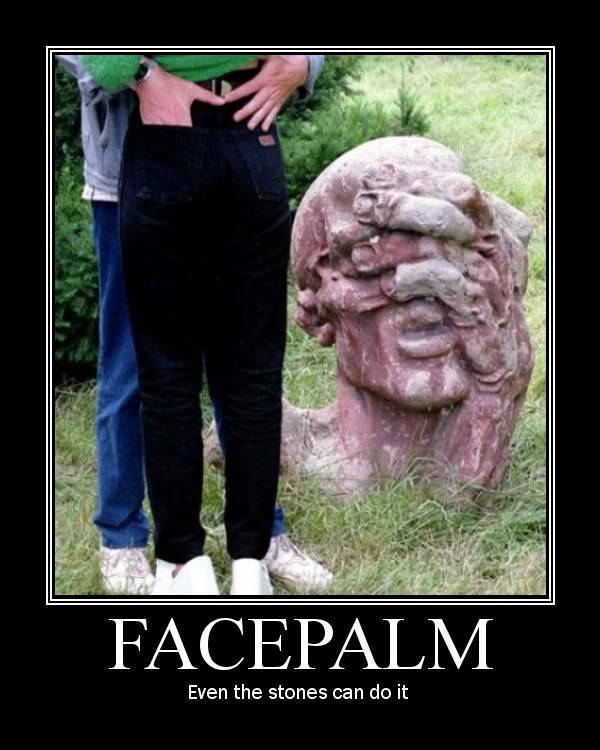 We of the Shinma Team are fine with facepalming due to him. I know I facepalm to him regularly when he has thousands of typos in one post. He has Firefox, and chooses not to use it. WTF!? I see you all are against me now. Safeac. 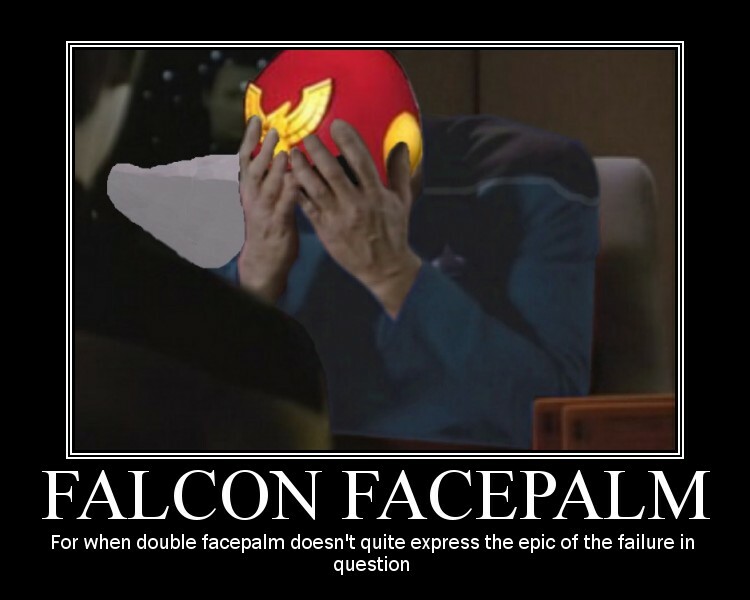 I face palm when people think I'm good at balancing Dicefight powers.